9 out of 10 times it is fairly simple to get started with a sensorless brushless DC motor controller such as the ZDBL15 or ZDBL30. You can either use an ‘off the shelf’ standard setup or a UART controlled version and get things running pretty quickly. However, just because the motor is turning does not mean that you are getting the most from it, or indeed that you are operating it as efficiently as possible. That’s why we’re offering all sensorless brushless DC motor controller customers free optimisation for the motor of their choice. Given that it typically takes 4 hours to complete this that means we’re offering you £100+ of technical services and support for FREE! We’re happiest when our controllers are working as well as they possibly can do for you. We will always help customers who choose to purchase the standard versions of our controllers but we generally prefer to be able to set things up at our end so we know that it will work perfectly. What sort of optimisations will be carried out? This starts with the simplest steps such as optimising for the inductance and number of poles in the motor etc. However, if you are able to provide us with more application specific information such as startup load or acceleration data we can also test, programme and set these up for you. 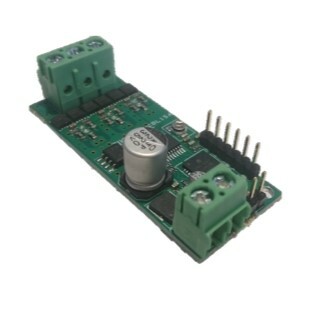 Browse our online shop now for the sensorless brushless motor controller of your choice. Buy online (there’s even 10% off for new customers until the end of December 2018). Send us the motor you want to use with details of key performance requirements. We’ll send everything back to you ready to go. Why time when you can count? Why aren’t there more women in engineering?